The development of web applications is our passion. We, Mega Web Design, like the challenges, and we hope you put us to the test. If you tell us what you have thought, we will find the best solution to develop the web that you need to measure. You should know that these types of projects need good planning and experience to manage web development projects. 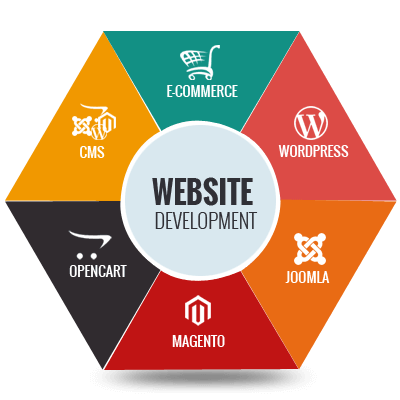 The best web development company in India, Mega Web Design offers you a set of services for software development for the needs of the customer, the implementation of software, the development of databases, and automation of business processes of the enterprise. The company’s specialists have extensive experience in implementing a variety of software, using the most advanced programming technologies for this. A web development service is not just the creation of websites. These are electronic payment systems and Internet banking; Corporate portals, including workflow, mail, calendar and many other functions. Modern web applications are already comparable in their capabilities with classic applications (desktop applications). But they can be accessed anywhere and anytime on a computer, tablet or mobile device and often have a lower total cost of ownership (TCO). These features make web technologies very attractive for solving a broad range of business tasks. Mega Web Design has more than a decade of expertise in the design, creation, and maintenance of complex web applications. We own a team of expert developers who have worked on some of the finest websites in India. Today, most of our projects are based on web technologies. Mega Web Design development center offers all services for developing and supporting web applications – from analyzing business requirements to supporting users. Our team manages both the development and production environment: you do not have any surprises regarding the possible purchase or change costs to use your application. We take care of both your data safety and hosting and backup from our servers. The interface is accessible from any computer, tablet or smartphone. This ensures all your users – or customers if you market it – easy access to your web application. In case of scalability, we can adapt the available resources on our servers in a few minutes. For your users, the interface remains fluid, and the display is ultra-fast. Based on your ideas we will establish a functional specification containing the detailed technical specifications of your software. During this stage, we will study the functioning of your company, its business processes and the transit of information. From this analysis, we will establish a relational data model that will become the application skeleton. We use proven and widely disseminated tools to ensure the performance and sustainability of our projects. As true enthusiasts, we take pride in performing a technological watch and training on the latest web technologies to always be able to offer you the solutions most adapted to the requirements of your application web. Our work does not stop at the end of development. Indeed, we remain at your disposal to ensure the best possible follow-up. We train you to use the interface and make sure your application works. We will always listen to you to put in place your new ideas for improvements or to propose to you those which we consider indispensable.